The top seed from Spain rallies past compatriot Pedro Martínez in the singles final. Roberto Carballés Baena is the champion of the inaugural Sánchez-Casal Mapfre. The top seed of the €43,000 ATP Challenger clay-court event won the the all-Spanish final on Sunday against Pedro Martínez 1-6, 6-3, 6-0. Carballés Baena converted six of his 18 break point chances, winning 55 per cent of the total points played to secure victory in one hour and 54 minutes. 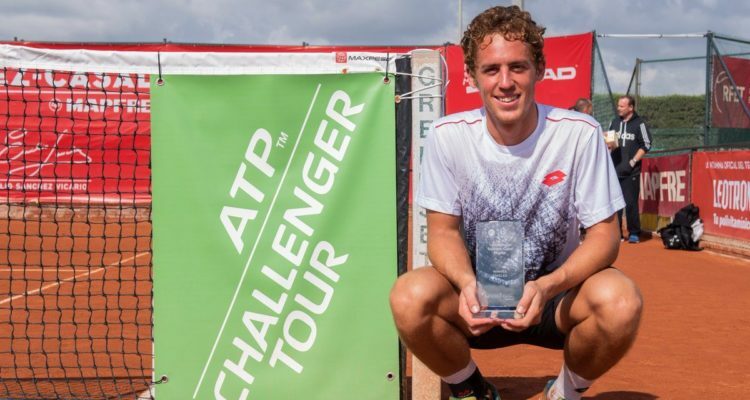 By lifting his fifth ATP Challenger career trophy, the World No. 90 from Tenerife collects €6,190 in prize money as well as 80 ATP-Ranking points. This entry was posted in ATP Challenger Barcelona, ATP Challenger Tour and tagged Academia Sanchéz-Casal, ATP Challenger Tour, Roberto Carballés.